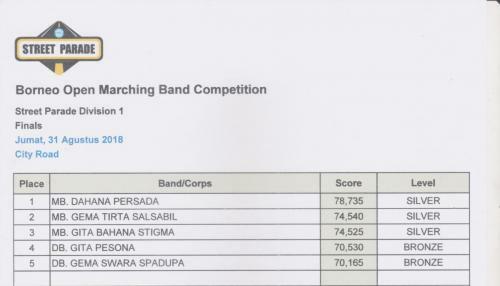 Samarinda City, Indonesia – With 45 participating contingents from the East Borneo Region, the Borneo Open Marching Band Competition (BOMBC) proved again its success on its 6th year held last August 31 to September 2, 2018 at the GOR Segiri Samarinda City, East Borneo, Indonesia. 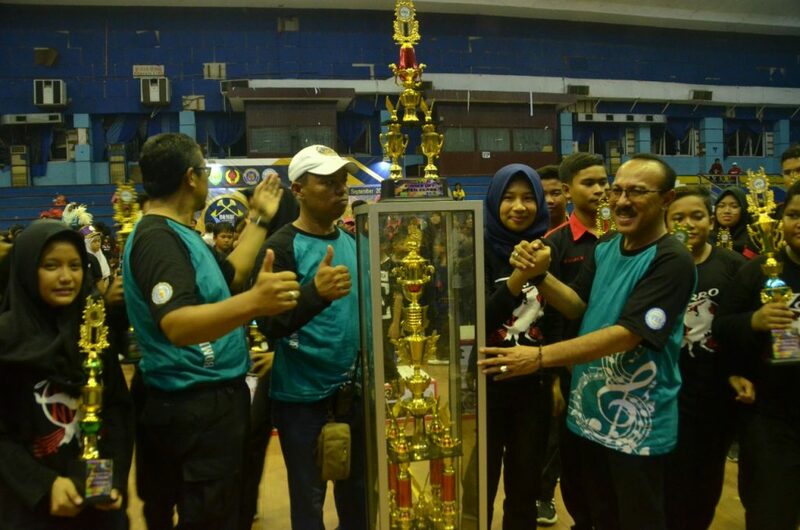 Headed by the Persatuan Drum Band Indonesia (PDBI) Kalimantan Timur, the 2018 BOMBC showcased the amazing talents of Indonesians through the Street Parade, Music Battle, Marching Show Band, and Color Guard Ensemble with the Junior, Senior and Open Class Division. 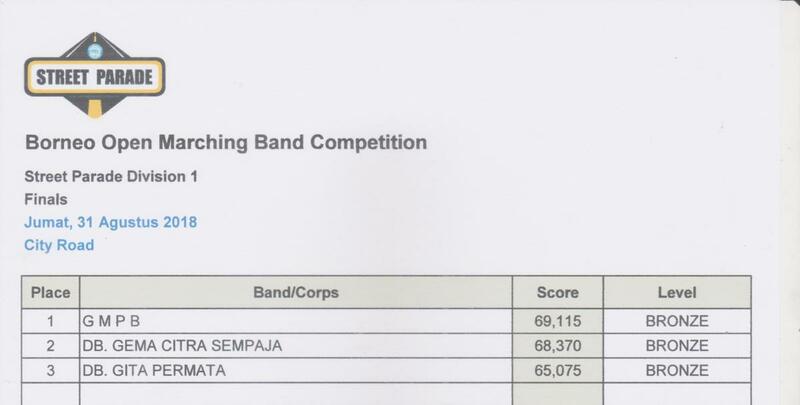 This year, BOMBC is sanctioned by the Asian Marching Band Confederation (AMBC) using the AMBC judging system. The juries is composed of 7 judges including AMBC Marketing Director – Patricia Real Barairo, AMBC Director of Events – Sehat Kurniawan Saiman, AMBC Director of IT – Rachmat Setiawan, Afrizal, Juryansyah, Deni Arifin and Masroni. In behalf of the AMBC, Ms. Patricia Barairo also thanked the PDBI Kalimantan Timur for putting their trust as partners for the said event and extended her commendation to the working committee. “We are thankfull for PDBI Kalimantan Timur for trusting AMBC to be their event partner, congratulations to the committee for the success. I am grateful for the experience and to witness great talents in this side of Indonesia. Looking forward to more, as AMBC expands network all over the region,” AMBC’s Marketing Director said.